The basic idea of the mobile wallet has been gaining popularity everyday all over the Europe recently. It will be the first ever service that would allow the users to pay for any kind of purchases or things which they would buy via their mobile phone. This service has been recently launched in UK. Users who wish to use the system named as Quick Tap would going to need an Orange and Barclaycard accounts along with the smartphones in order to make the contactless payments. Verizon latest launch Express Services is a collection of account management tools for the users of Android-based technology. Express Services anables convinient access to diversified information related to your account, such as call list, billing record, and Friends & Family management for Android phone proprietors. It is expected that PayPal will announce the winner of the Developer Challenge at the end of this month. Winner will be awarded with $50,000 with another %50,000 cash back on all the transactions that he makes during the present year. 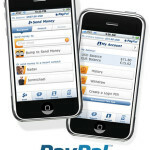 Runner ups will be given cash back of $10,000 for making the best Android or iOS PayPal app. For all those small businesses who are having problems with their accounts and cost sections, might use Bookkeeper Accounting Software to ease out problems. Bookkeeper offers a wide range of accounting tasks for small businesses. If you are looking for a simple and very basic accounting software, Cougar Mountain 2009 is the best option for you. Cougar Mountain 2009 accounting software is specially designed for mid-sized as well as small businesses. Cougar Mountain is compatible with Microsoft Windows. 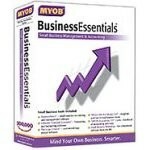 MYOB Business Essentials is one of the best small business accounting softwares you could ever find. MYOB UK accounting software’s standout features include integrated payment gateway, different customizable forms and an option to import online bank statements.